If you’re a single man or woman over 50 entering the world of mature dating, there’s a good chance you haven’t dated since you were in your twenties. Don’t worry. It’s never too late to find true love at any age. Here are seven ways that your search for love later in life is better today than it ever could be as a youngster. It could be enough to make a single millennial wish they were a boomer. 1 – Mature dating is more authentic. To find a real, authentic love, you first must know and love yourself well. As we reach 50 and beyond, most of us can say we’ve learned a lot about ourselves along the way. Life changes us and it’s easier to be exactly who we’re supposed to be. While we were dating in our twenties, we dealt with the awkwardness of a growing body, mind, and spirit. Nothing, it seemed, was easy or graceful. During those formative years we defined ourselves by fitting into how we believed others thought we should be. We looked outside ourselves for acceptance and definition. Happily, life is a good teacher. If we’re open to it, we’ve learned to strip away the masks and simply be ourselves. However, along the way you might have been through a divorce or lost your partner to death. Major events like this can make it hard to escape the roles you played for many years. You cling to them for comfort in a time of change. To find a true, loving partner requires that you present yourself accurately to others. It’s essential to strip away that which doesn’t reflect who you truly are or worse, that which buries your true personality. Depending on your previous relationships, you might be comfortable with co-dependent behaviors that mask your authentic self which in turn, sabotages your future relationships. If so, you must learn how to love yourself again. This is best done with the aid of a professional counselor or therapist. Such introspective work pays dividends far in excess of the effort involved. It’s the only way to attract the right person for you. If we’re dating after fifty or sixty, it’s likely we’ve had one or more partnerships or marriages. This means we have a pretty good idea of what we want and don’t want in our potential partner. If we were smart about our personal development when we were younger, we learned how to navigate relationship problems to be a better partner. We don’t have to fumble through the learning curve again. Although we never stop learning because life never stops teaching, as a mature dater, we get to lean on all those years of experience. We’re usually comfortable in all kinds of situations which means we can comfortably meet and date new people. 3 – Our agendas are different. As we ease into mature dating, our agendas are different than in our younger years. It’s likely we’re under less financial pressure if we’re retired. The US Census Bureau says the 2016 median income for people 55-64 years is $65,239 and for those 65 and older, it’s $39,823. We have children and grandchildren. We’re not under the gun to settle down, get married, have children, or find a career. Instead, we’d rather focus less on work and more on enjoying life. When we decide to start dating, we plan to make the most of it. 4 – It’s easier to be honest. We don’t care so much what others think of us. We’re comfortable with who we are and that makes it easy to be honest. We’re not afraid to be who we are because we have faith that somehow, some way, we’ll get connected with our ideal partner. 5 – We have a sense of freedom. When I first considered online dating, I had already decided that if I remained single for the rest of my life, I’d still be perfectly happy. Sure, I felt it would be nice to find a woman with whom to share those years, but I was OK if I didn’t. I wasn’t attached to the outcome. It took me years to learn to detach from expected outcomes, but it gave me a serenity and sense of freedom I never had when young. The fact is that I will lose things I have, and I won’t get all the things I want. But I’ve also learned that the unexpected outcomes quite often surpass anything that I could have imagined. One of those unexpected outcomes arrived in the form of my own true love and partner, Daisy. 6 – It’s more fun to date later in life. All of the characteristics I mention above make mature dating more fun. Society (for the most part) accepts a wide range of relationships that cross cultural, racial, age, and religious lines. Women and men over 60 have plenty of stories to tell and share that we didn’t have as youngsters. Stories are fun to share, whether it’s on a first date or with your new-found partner. When we go on a fun date in which there’s probably not a chance for a relationship, we don’t take it as a failure. It’s fun. We get to meet a new person and see a unique perspective on life and the world. There’s a richness in meeting new people and having fun with them. Healthy fun can be an end unto itself. 7 – Older women and men are more emotionally mature. Maybe you could sum all this up in one word—maturity. We are, after all, talking about mature dating. But a life is impossible to sum up or label so easily. At this point in our lives, every one of us can say we’ve been through a few emotional wringers. If we learned nothing else, we learned to not let our emotions rule our behavior and decisions like we did when we were young. After all, emotions are powerful but fleeting. With maturity we get the sense to pause and reflect about emotions before acting. It makes for a peaceful life. 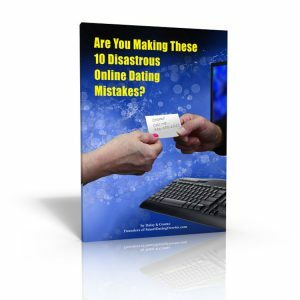 It makes you a better date and a potentially better ideal partner. 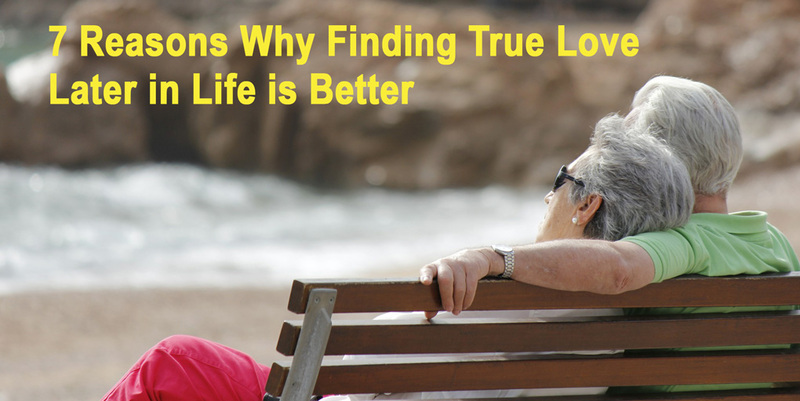 Having Problems Finding True Love? If you’ve had failed marriages or relationships, or if you’re a mature dater whose fed up with dating, don’t worry, there is hope. Your chances of finding true love later in life are good if you simply take the time to work on yourself. Personal self-development is a rewarding process—at any stage in life. In Over 60 and Fed Up with Dating we talk about a roadmap to help you find your true love faster. 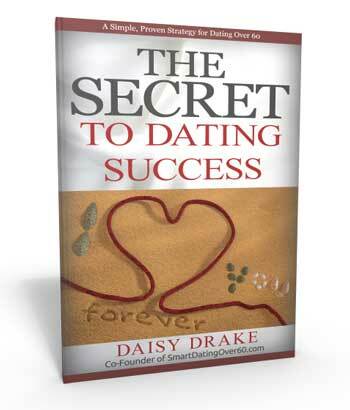 And be sure to get your FREE download, The Secret to Mature Dating Success.